Nestled on the narrow plains between the rugged Santa Ynez mountains on the north and the calm, blue seas of the Pacific Ocean on the south, the California Central Coast enjoys a mild, Mediterranean climate with temperate nights and soft, ocean breezes. From this splendid setting has sprung an orchid industry that produces more orchids than any other region in the country. California's central and southern coasts became a Mecca for orchid hobbyists in the early part of the 20th century. Wealthy families who established estates to enjoy the Mediterranean-like climate of coastal California sought the services of renowned horticulturists and landscape architects to establish their lavish gardens. A cottage industry bloomed. As estate collections grew, patrons hired landscape directors to manage huge crews of gardeners and obtain the most stunning plants. 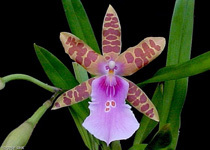 Several key estate nurserymen later went on to open or manage their own orchid selling empires along the California Central Coast, offering some of the finest species and hybrid orchids anywhere, and the greatest concentration of orchid growers in one location in the country. 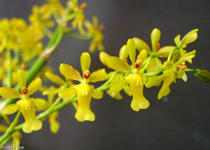 Now with nearly a half-century of experience, California Orchid Trail growers are leading the world in producing a wide spectrum of orchid varieties, including plants that are more resilient and beautiful than ever before. If you are captivated by the diverse beauty of orchids, be sure to explore the seven featured orchid growers on the California Orchid Trail.